A hotel pick up and drop off makes traveling to and from the destination convenient and easy! We were excited for this but felt a bit disappointed because there were a few fireflies. Not the fault of the tour but it was because of the full moon. So advice is don't go on a full moon. It was relaxing though with the paddle boat and the cool breeze while riding was very nice. Dinner was provided and it was delicious. It would've been perfect if the fireflies came out in droves but we settled for a few ones. It's ok maybe next time. 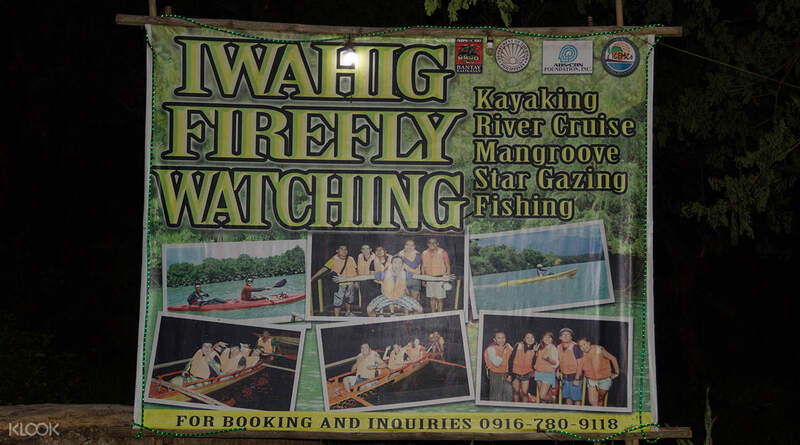 The fireflies of Puerto Princesa are famous for being a breathtaking spectacle. This tour will get you right up close to this amazing natural wonder. 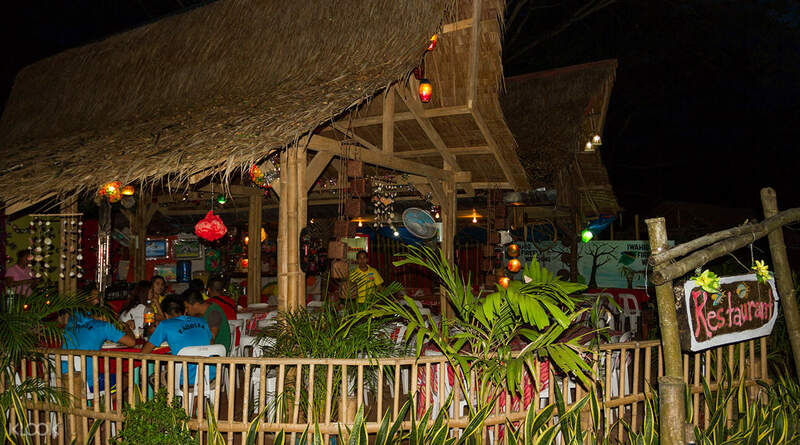 You'll be able to enjoy a delicious buffet dinner before you climb aboard a boat and set off on the Iwahig River. As dusk falls and darkness settles, the light show of the fireflies begin. It is only in Southeast Asia where fireflies glow in unison; they are a repeating, glowing beat, as seen through the mangrove trees. The whole line of mangroves and trees will be lit with flashing fireflies, glowing together, and so distinct that it is said that in these parts of the world, fishermen use them as a form of guiding system to find their way in the darkness of the night. Don't miss the chance to see these breathtaking wonders when you head to Puerto Princesa! The experience was superb. The fireflies are amazing. Although it was full moon, causing tje sky to be very bright, the fireflies are still visible. So it is better to visit when the moon is not so bright. The sky was full of stars as well. The experience was superb. The fireflies are amazing. Although it was full moon, causing tje sky to be very bright, the fireflies are still visible. So it is better to visit when the moon is not so bright. The sky was full of stars as well. The most serene tour we've had in Puerto Princesa. We started the trip stargazing in the middle of the pitch-black waters as we moved towards the foggy Iwahig River. There's a certain mystique and magic as the fireflies danced around us, responding to both loud and soft sounds we made differently. The tour was wrapped up by the buffet dinner we had at their floating restaurant. Rapbeh! 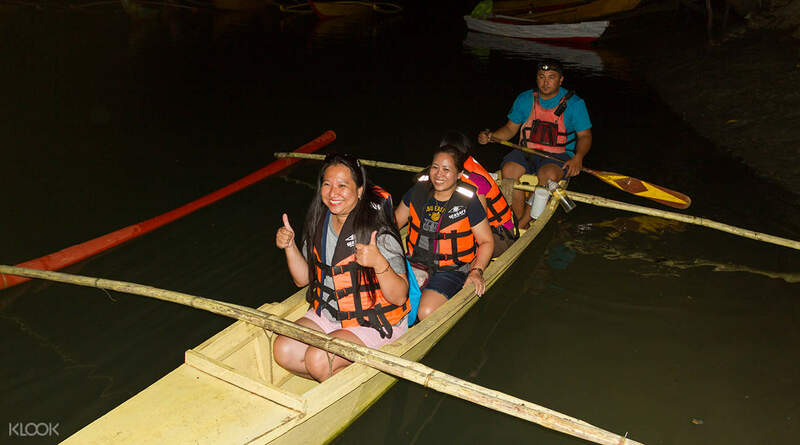 The most serene tour we've had in Puerto Princesa. We started the trip stargazing in the middle of the pitch-black waters as we moved towards the foggy Iwahig River. There's a certain mystique and magic as the fireflies danced around us, responding to both loud and soft sounds we made differently. The tour was wrapped up by the buffet dinner we had at their floating restaurant. Rapbeh! We postponed this booked activity to the next day (per advice from the tour operator) due to bad weather. We enjoyed this experience. I brought my 6-month old infant but he wasn't allowed in the paddle boat (I did not have intentions for him to board as well) -- but the voucher conditions said "Children below age 2 may join for free." The attendants at the Firefly watching booth said children ok to board are aged 3 years old and up. Since we were all 7, the 5 first took their trip and when they returned (after 25 min or so), they took care of my infant. We enjoyed the stargazing too. We postponed this booked activity to the next day (per advice from the tour operator) due to bad weather. We enjoyed this experience. I brought my 6-month old infant but he wasn't allowed in the paddle boat (I did not have intentions for him to board as well) -- but the voucher conditions said "Children below age 2 may join for free." The attendants at the Firefly watching booth said children ok to board are aged 3 years old and up. Since we were all 7, the 5 first took their trip and when they returned (after 25 min or so), they took care of my infant. We enjoyed the stargazing too. Very accomodating. Guide is very versatile and knowledgeable. don't expect the motherload of fireflies, but you do get a simple but beautiful display of what nature has to offer. Very accomodating. Guide is very versatile and knowledgeable. don't expect the motherload of fireflies, but you do get a simple but beautiful display of what nature has to offer. An unusual experience, it is quite romantic even on a boat with 11 other people. It is not just the fireflies that are amazing, you will be stunned by the wonderful stars as well as glowing plankton! Great trip even though we got stuck a bit on a shallow water and had to turn back at some point. An unusual experience, it is quite romantic even on a boat with 11 other people. It is not just the fireflies that are amazing, you will be stunned by the wonderful stars as well as glowing plankton! Great trip even though we got stuck a bit on a shallow water and had to turn back at some point. A good experience to reflect on the intricacy of God's creation. A good experience to reflect on the intricacy of God's creation. the fireflies are like christmas lights in a christmas tree. they are so fun to watch. however, if you are not so fond of boating in the dark this activity is not for you. the fireflies are like christmas lights in a christmas tree. they are so fun to watch. however, if you are not so fond of boating in the dark this activity is not for you. The pickup coach is punctual. 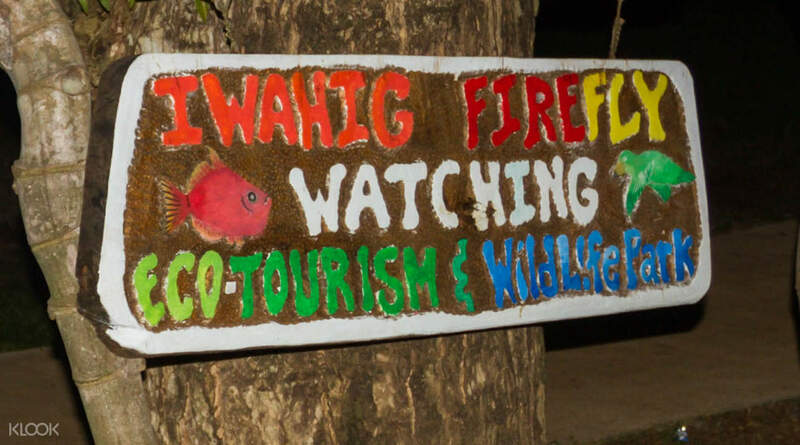 The tour guide was friendly and shared with us stories about the wall-less Iwahig Prison (see pic 1) near the firefly watching place. Heeding the advice from previous reviews, we ate before the tour and did not hold expectation on the free buffet. We were told upon arrival that we had to wait for 3 hours for our turn. We found a seat at the pavilion (see pic 2) to kill time. Please remember to bring mosquito repellent!! When it's our turn, we were instructed to put on the life jacket and get on the boat (see pic 3, max. 3 tourists plus 1 boatman per boat). The ride was around 30 min. Since the firefly only stay on the mangrove trees that have flowers and that August may not be the best time to visit, the scene wasn't as pretty as we'd expected. But the boatman was knowledgeable and humorous at times. Overall, it was a nice experience. The pickup coach is punctual. The tour guide was friendly and shared with us stories about the wall-less Iwahig Prison (see pic 1) near the firefly watching place. Heeding the advice from previous reviews, we ate before the tour and did not hold expectation on the free buffet. We were told upon arrival that we had to wait for 3 hours for our turn. We found a seat at the pavilion (see pic 2) to kill time. Please remember to bring mosquito repellent!! When it's our turn, we were instructed to put on the life jacket and get on the boat (see pic 3, max. 3 tourists plus 1 boatman per boat). The ride was around 30 min. Since the firefly only stay on the mangrove trees that have flowers and that August may not be the best time to visit, the scene wasn't as pretty as we'd expected. But the boatman was knowledgeable and humorous at times. Overall, it was a nice experience.